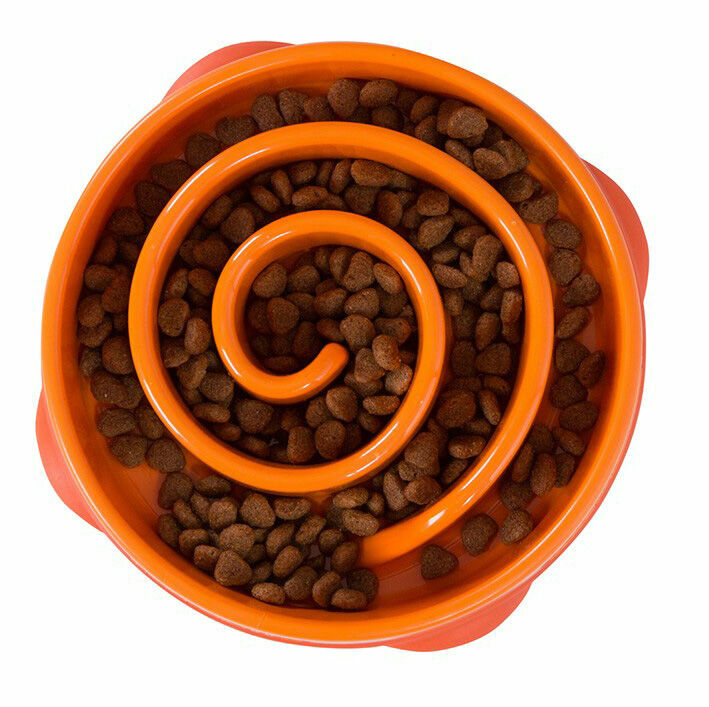 Created so that dogs may enjoy themselves whilst learning how to eat more healthily, the Outward Hound Fun Feeder Slo-Bowl is a slow feed dog bowl which has a raised labyrinth-like design that stops dogs from guzzling down their food without chewing and lessens feelings of bloatedness. 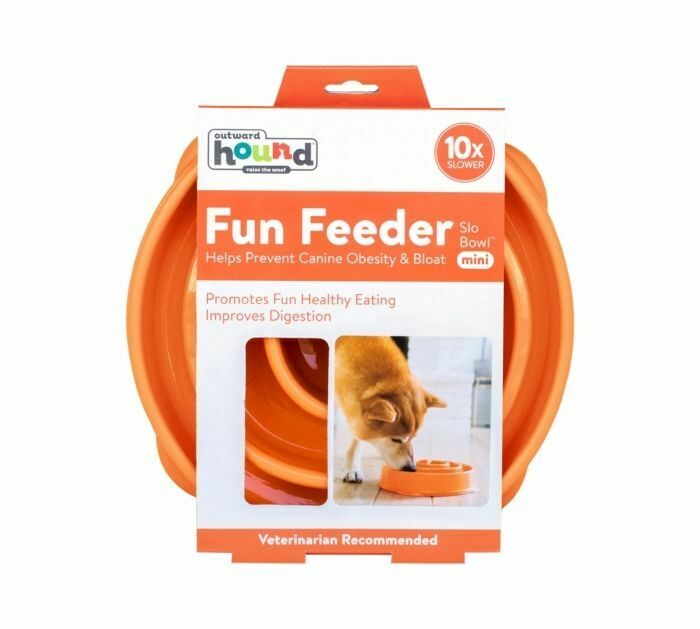 Designed so that it can take dogs up to ten times longer to eat their meals, the Outward Hound Fun Feeder dog bowl will restrict your dog's food intake and prevent them from over-eating. 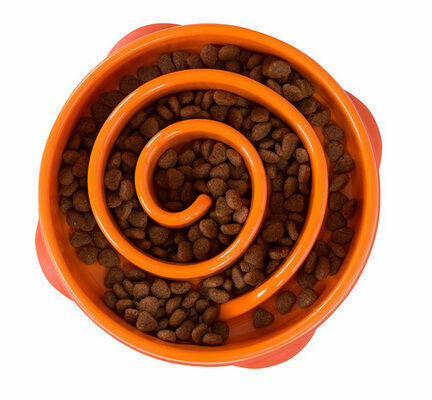 Moreover, these plastic dog bowls are made using food-safe materials, so you do not have to worry about your dog biting and licking it. 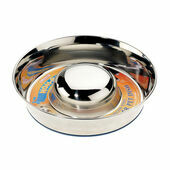 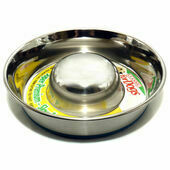 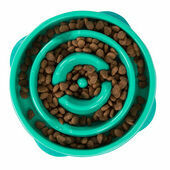 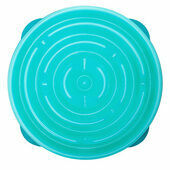 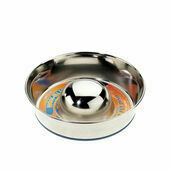 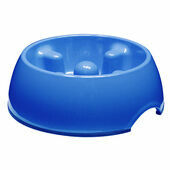 Fast delivery, great price and great product - bought 2 for 2 Chihuahuas who inhale a feed in 20 seconds! 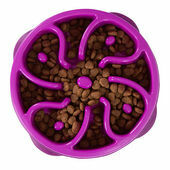 Using the slow feeder they took 5mins 17secs, although a lot of dry food around the floor from one of them. 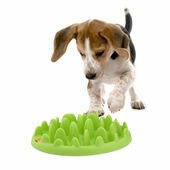 Practise will sort that out!